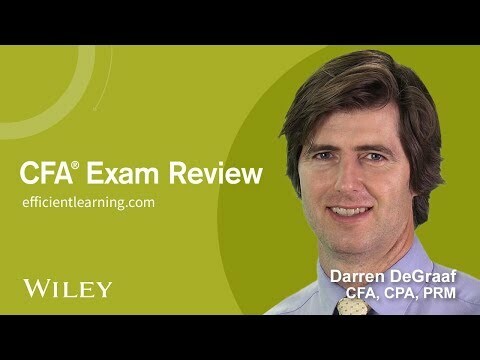 What Makes Wiley’s CFA® Program Review Better? Best-in-Class Prep for the CFA® Exam. Try it Free. Take a 14 Day Test Drive. Get immediate access to online study materials. I just found out that I passed... including getting 70% in Ethics. I think your videos are excellent, and made a huge difference. Great stuff! Wiley knows finance and test prep having helped thousands of finance pros pass certification exams. That’s why we use the best review materials from Elan Guides to help you pass the CFA exam.